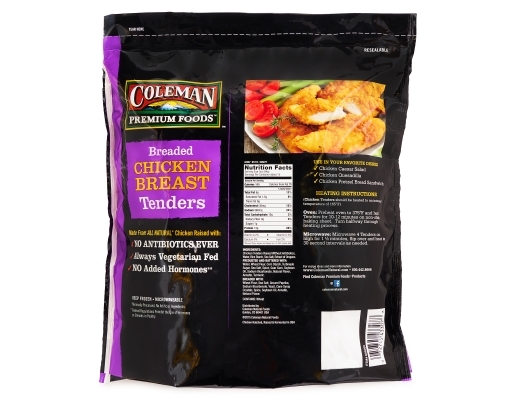 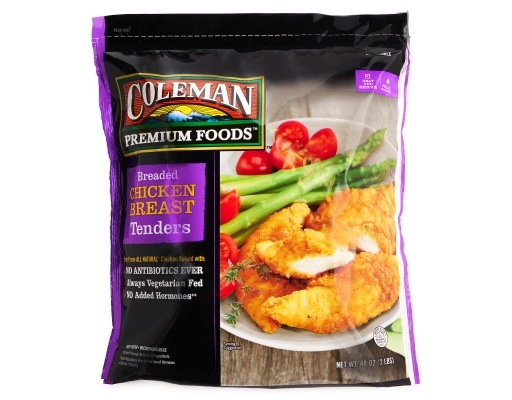 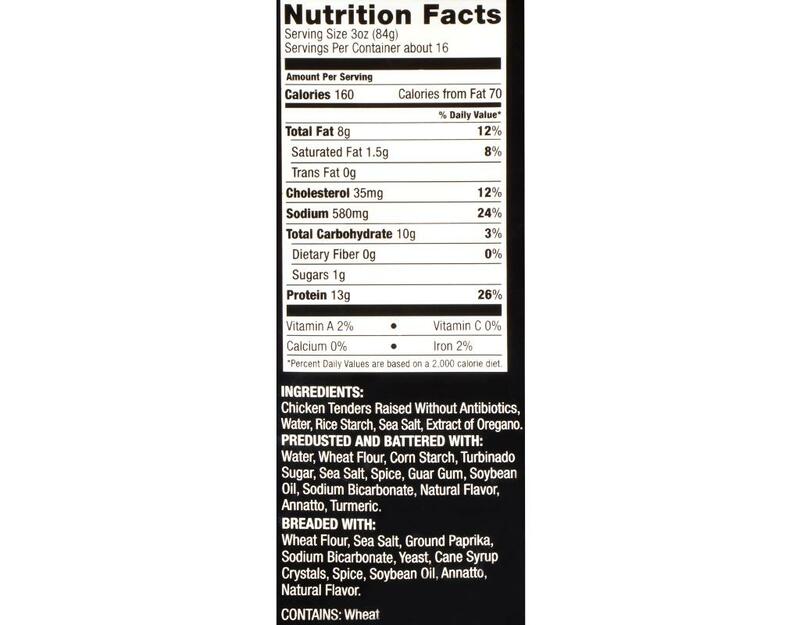 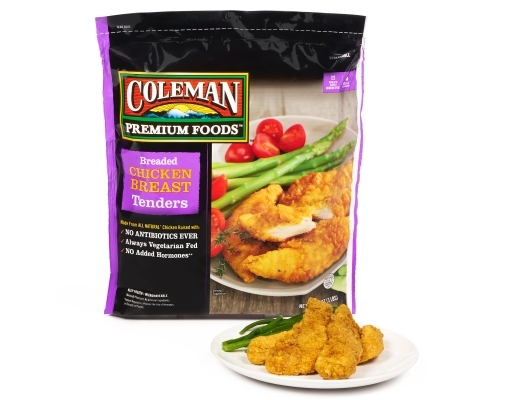 Chicken Breast Tenders (Raised Without Antibiotics), Water, Rice Starch, Sea Salt, Natural Flavor. Wheat Flour, Sea Salt, Ground Paprika, Sodium Bicarbonate, Yeast, Organic Cane Syrup Crystals, Spice, Expeller Pressed Soybean Oil, Annatto, Natural Flavor. 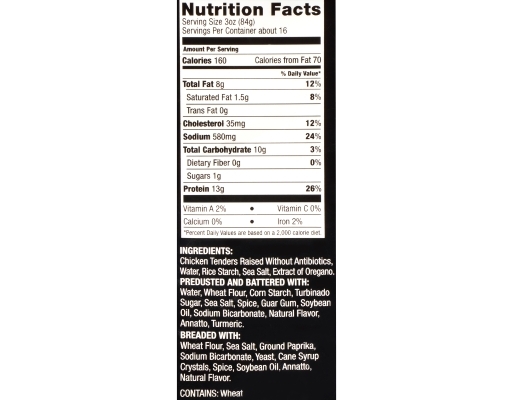 Water, Wheat Flour, Corn Starch, Evaporated Cane Syrup Crystals Sea Salt, Spice, Guar Gum, Natural Flavor, Organic Soybean Oil, Sodium Bicarbonate, Annatto, Tumeric. 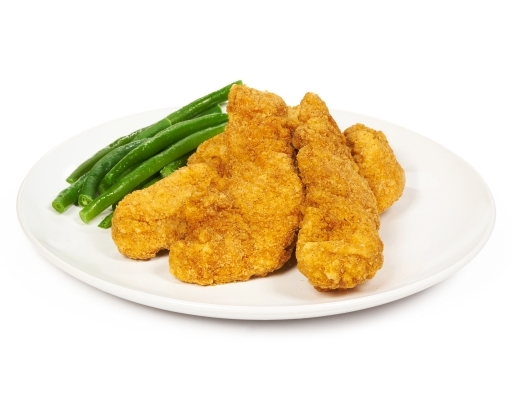 Breading is set in Soybean Oil.